Cover of “It was all a dream” book about slides and nostalgia. 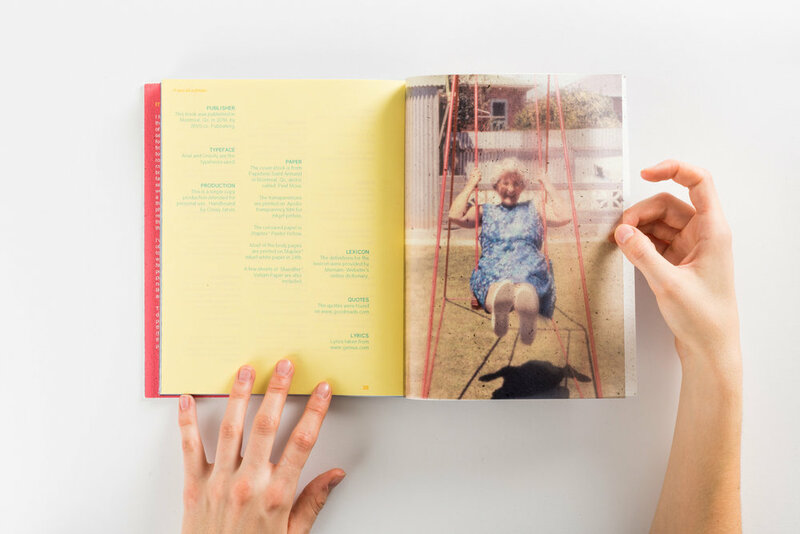 Photo showing the transparency included in the book. 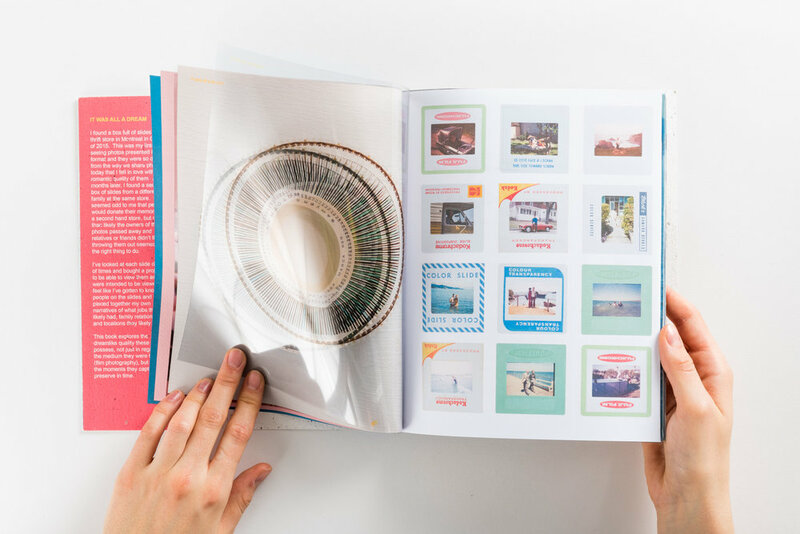 Images were printed on acetate and layered to enhance the readers viewing experience. Printed acetate of an image overlaid on the same image to give movement when the pages were shifted. A detail of an interior spread showing some of the slides used. Another interior spread. Enlargement of a slide on the right side. Detail of an interior spread. These images were a part of 2 different lots of slides found at the same thrift store months apart. Detail of some of the text included. Lyrics from The Notorious B.I.G. - Juicy. Detail of 2 images taken years apart showing the same mother and father. Detail of some of the text included. Lyrics from The Notorious B.I.G. - Juicy. 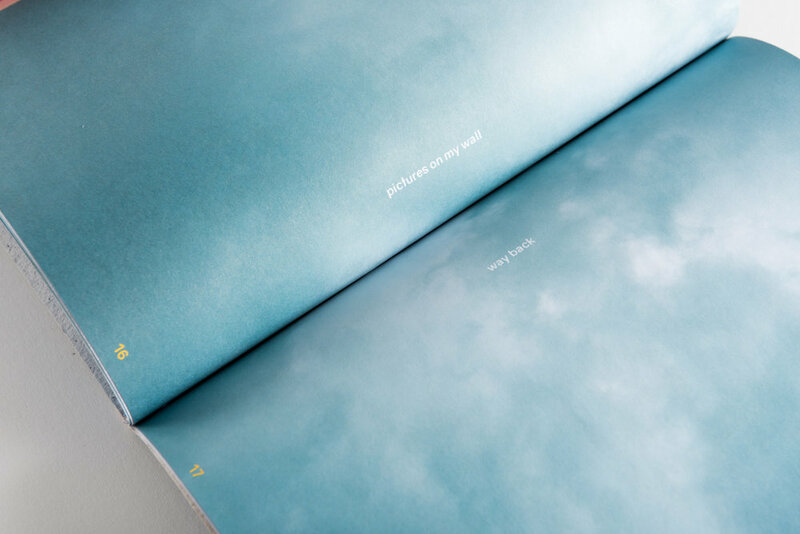 The paper used for the book allowed part of the image printed on the back to show through, giving a dreamy effect to the cloud image. Detail of an interior spread. The cloud images are taken with a DSLR my myself. Detail of the back page of the book with the information on its production. Close-up of some pages of the book. 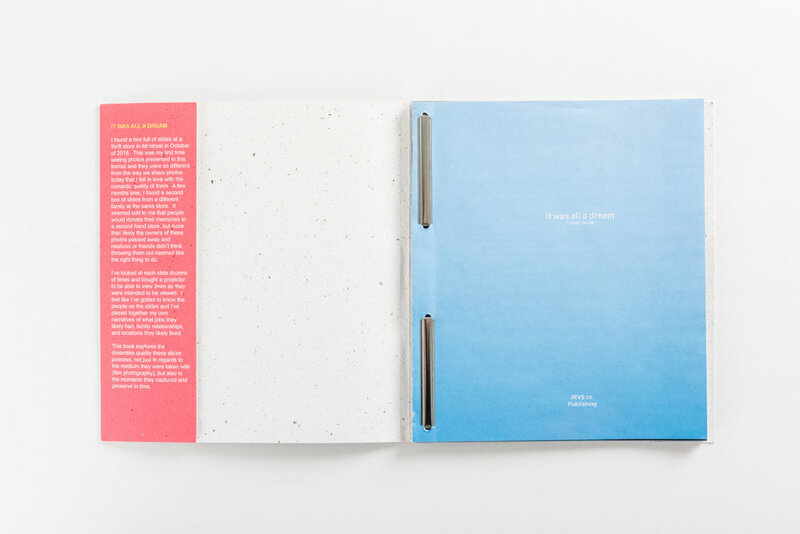 The cover photo was printed on handmade paper by Papeterie St-Armand in Montreal.